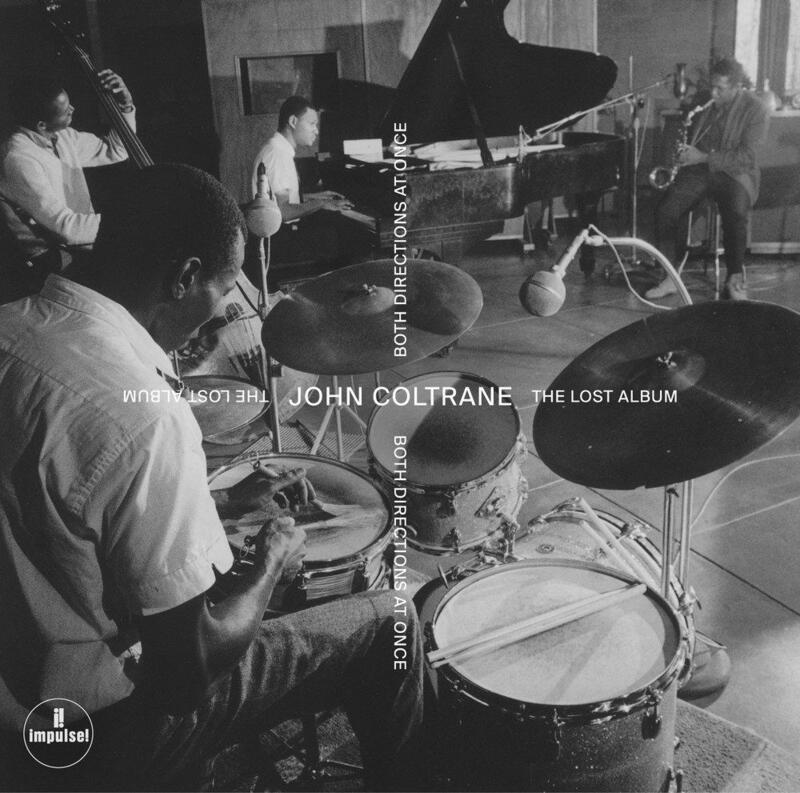 I try not to live in the past, but when an album of music by John Coltrane is discovered and released decades after it was recorded, I’m justified in getting a little maudlin. Coltrane recorded this in 1963, but Impulse Records never got around to releasing it, probably because they were concentrating on more commercial aspects of Coltrane’s output; the master tapes were eventually destroyed to make space. Luckily some reference tapes were found in the attic of his ex-wife’s family. The record features Coltrane’s classic band: McCoy Tyner on piano, Elvin Jones on drums, and Jimmy Garrison on bass - the same quartet that would record A Love Supreme, the album that would change the face of jazz. This one was finally released June 29 under the name “Both Directions at Once: the Lost Album,” a title that well describes its place in jazz history. Some of the standards in the collection reaffirm Coltrane as a master of the older bebop style. But as much as it looks backward, everyone in the band is looking forward, urgently testing the limits of form, harmony and style. Check out Coltrane’s use of the novel soprano sax and and Tyner’s futuristic piano chords; this is an essential point on the graph of Coltrane’s stratospheric rise. There are a lot of other newly discovered albums now coming out by very high profile artists. It’s a lot cheaper to release an album now than back in the vinyl days, so being nostalgic is easier than ever. Recorded 1968, just released this year as part of a project to release a large number of archival tracks. He played this live many times; this is the studio version. The sessions that this is from are a part of 13 deteriorated reels of live multitracks recorded in the 1970’s on the Rolling Stones mobile studio that were found in an abandoned hotel space last year. They’ve been miraculously restored - look for later release. "Piano & a Microphone 1983," due out Sept. 21, is music from Prince from 35 years ago. It was recorded just after the release of "1999" and a year before the release of "Purple Rain," which launched him to super-stardom. "Mary Don't You Weep," will be featured during the end credits of Spike Lee's upcoming film "BlacKkKlansman," which is due out later this summer.